Fig. 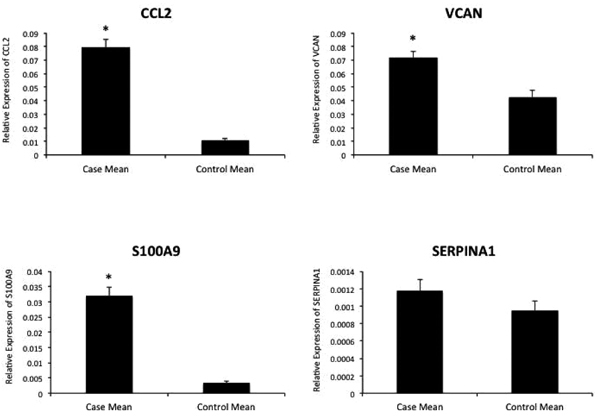 (3) Reverse transcription PCR results from differentially expressed genes CCL2, VCAN, S100A9, and SERPINA1 in cases and controls. The asterisk (*) indicates p < 0.05.